I am the kind of person who almost never glance the synopsis of a book before I read. Most of the times I don’t even try to see the genre of the books. If I saw it on NY Times or someone’s bookshelves on goodreads and it looks interesting or I just felt like reading it when I look at the cover, then I go for it. Reading this book that way, I sure was getting lots of surprises. I didn’t even know it would be a thriller of some sorts. This book gives me all the twist of story and character the way very few books could. The first few chapters got me thinking I was reading some petty marriage story, but it kept getting darker in a way and then jumping to the second part of the book it went another way again. This book kept me on my seat with intense feeling and thoughts. 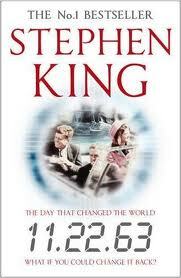 I have heard and read about Stephen King so many times before, but I haven’t been reading his books. This is my second book from King, and now I have been wondering where have I been this whole time! I really like his way with words and I am going to start seeking for his other books very soon. At first, I put the book down for weeks after I read the prolog. It didn’t really take my interest. However I gave it a try and get hooked right after the first chapter. It was a great read. It has been long since the last time I finished more than 700 pages in several days (although I could finish it much faster if not for the classes and college works). Well, I love the concept of time travel and historical fiction to begin with, but that’s not it. The book really has its way in making things interesting and kept me surprised by how it went every now and then. It kept making me feels like I know exactly where it’s going but it proved me wrong for times. No need to mention how I think I just love the ending. It will be too much of a dream if Jake was just to get a nice life in the past or if he came back to the future and every bad things he wanted to change was all just gone for good without any worse consequences. So I think the book has the most realistic yet still happy way in ending the story. 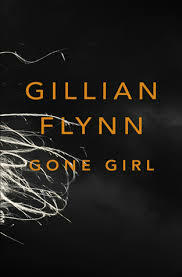 This entry was posted in Books and tagged 11/22/63, Books, flynn gillian, gone girl, Review, stephen king on October 3, 2013 by Dee Ciptasari. I was trying to find something to do this afternoon and I remembered that I haven’t been reading for the last few weeks, so I walked to the bookshelf in the house and looked for a rather-thin-book because I was just not in the mood for heavy reading. I found this book titled “DreamCacther” by Alanda Kariza, an inspirational youth of Indonesia who has had done many amazing things despite her young age of 21. Apparently my sister bought this book some times ago but hasn’t even tear the plastic warp open. DreamCatcher got my attention in seconds because it was very neatly design. The cover is mainly in blue and it has some kind of cloud hanging in the upright corner of the book. The forewords of this book was written by Monique Coleman, The United Nation’s first-ever “Youth Champion” who was also a Disney Actress best known for her co-starring role in High School Musical movies. That was not a surprise knowing that Alanda Kariza has often been appointed as Indonesian representative at so many youth conferences all around the world. DreamCatcher is such an inspiring book. In this book, Alanda Kariza talks about her way of looking at dreams, her way of pursuing her dreams,why as youths, as the young generation, as the future leaders, and as individuals do we need to have a dream higher than the sky, and how are we going to built our our own stairs to reach and catch those dreams. I said ‘talks’ and not ‘wrote’ because that is what it feels like. The book is structured in steps kind of template where it starts with inventing your dreams, fight your takedowns, designing the blueprint, making them come true, and living your dream. This book is not a monologe. In every steps of the book, there are activity sheets where you can (or should) write your dreams and schedule, analyzing your own principles and takedowns, listing down your opportunities, and other fun things. I felt like I was having a discussion with Alanda Kariza throughout the whole book. The book is also full of inspiring quotes and interviews that the writer did to some other inspirational youth of Indonesia who have thrived their way in many different paths. As I wrote in my review of this book on goodreads.com, this book hasn’t only woke me up from my sleep like the other books did, but it also gave me the breakfast-like-energy to go and guide me in drawing my own map of the roads I need to walk on to reach for my dreams. Alanda Kariza and many others have proven that our dreams are something we can have to chase and catch, now what are we waiting for to go chase and catch ours? This entry was posted in Books and tagged Amazing, Books, Review, Words on September 7, 2012 by Dee Ciptasari.